Love is in the air and pounding in your heart. 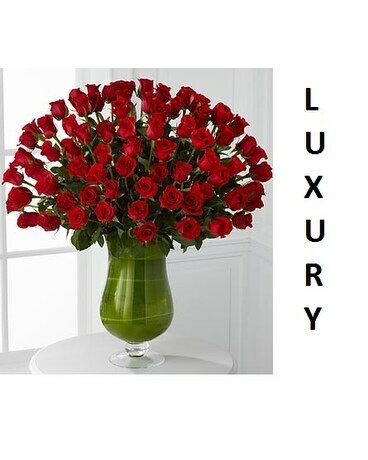 Bind your hearts as one with an overwhelming and dazzling display of our premium long-stemmed rich red roses situated in a highly elegant clear glass pedestal vase. This timeless display of beauty extends the traditions of ages past to link your hearts to the future.